Our youngest child Sarah realized an aptitude in art during her early high school years. That provided some great father/daughter opportunities when we went plein air painting together. 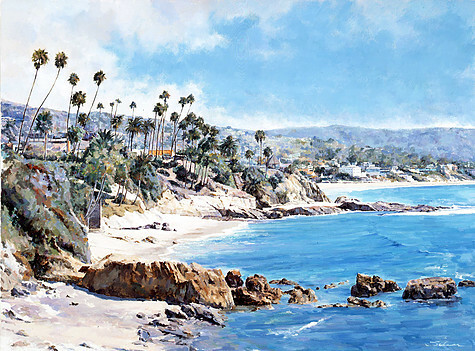 One morning while driving south on Pacific Coast Highway we cruised into the north end of Laguna Beach with its more than 100 art galleries. Rather than immediately set up and paint the coastline at our Heisler Park destination, we decided to first seek inspiration from the work of local artists and entered the nearby Schaar Gallery where both of our lives changed that day for the better. Every Robert Schaar oil and acrylic painting on display pulled us in with its composition, spontaneity, simplicity, and prudent sprinkle of details. Many made that rare emotional connection which actually achieves a moment of wonder. Bob’s wife Jacqueline introduced herself as the business end of the gallery while Bob, she explained, produces the art from his studio in the back. As we talked she sensed the value of us meeting Bob in person and excused herself to ask if he could take a break. He did. Bob and Jackie then spent the next hour or so talking with Sarah and me about all aspects of art. Bob knew that we were only fledgling artists, definitely not buyers, and that the time he was giving was free. Yet he could also see by Sarah’s enthusiasm the importance of our conversation as he graciously shared wisdom and advice that can only be gained through years of personal experience and achievement. It was Bob’s gift to us and it was appreciated more than he ever realized. Through art, circumstance, and an appreciation of each other Bob and I have stayed connected. He later lost Jackie to multiple myeloma, coincidentally the same disease I am treated for. With the loss of Jackie, Bob closed their gallery, opened a smaller more manageable studio, and began showing in other galleries, some in Laguna where I was also an exhibiting artist. We stay in touch, have a similar respect for family and life, and always share a laugh. 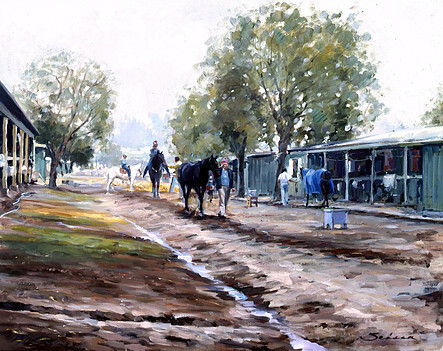 Commissioned for portraits of President Gerald Ford, former Chiefs of Staff, the NASA Astronauts, the Blue Angels, jockeys Johnny Longdon and Willie Shoemaker, baseball star Duke Snider, and many other persons of achievement. Judge of many major art shows including the prestigious New York Society of Illustrators show in New York City. 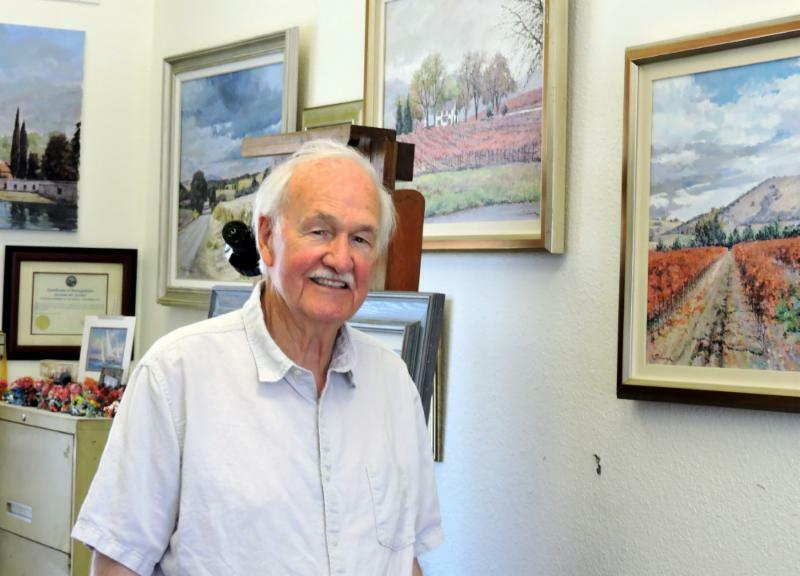 Bob continues to paint 5 to 6 days a week with undiminished quality and style. 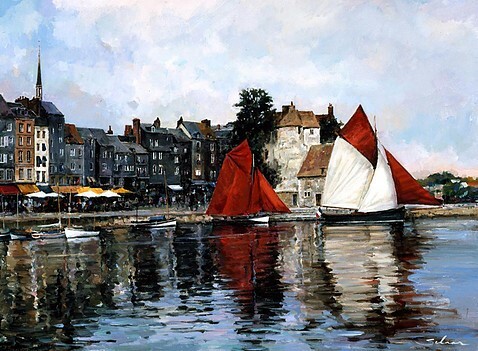 He is a recognized master of any subject … landscapes, seascapes, sports, events, and portraits.